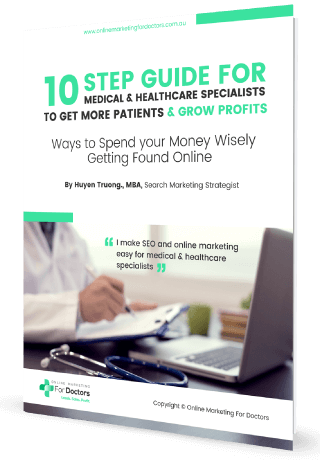 Online Marketing For Doctors is pleased to give our Grow Your Practice Profits Masterclass attendees an exclusive voucher that gives you 20% off all our online marketing services. Simply mention the voucher code that we send you via email or SMS when you purchase any services from us. Please note that this voucher offer will expire after 7 days as of today, although you can sign up for it now and use it later, which gives you time to choose your services carefully.